As we get into the summer days in Germany, these little but powerful fruits make their way into every German and their grandma’s kitchen. The Johannisbeere, or red currant as you may know it is a little ball shaped fruit similar to the black and white currant, it’s quite tart in flavor and you don’t see them very often in the supermarkets here in Berlin. 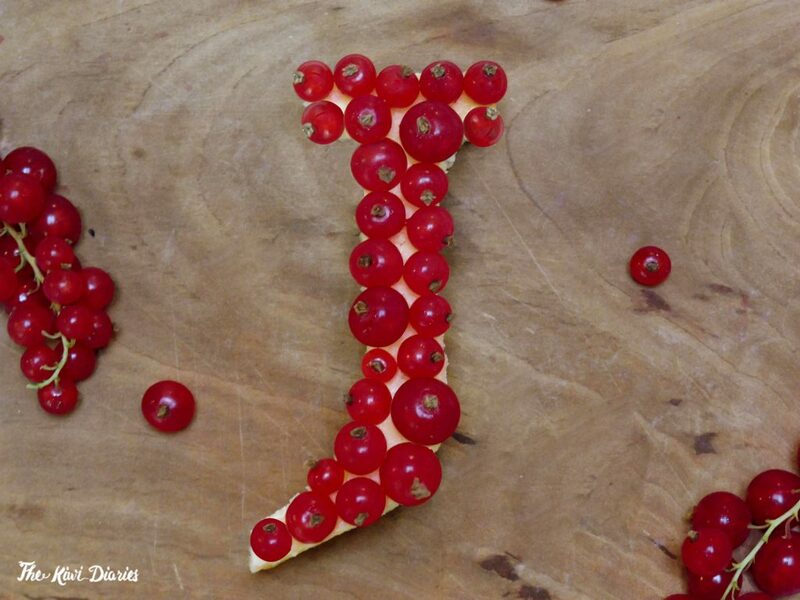 Their German name comes from the notion that they ripe first on Saint John’s Day (or midsummer day) around June. As I researched about this dish I came across different blogs and articles where people talked about how this cake would remind them of their grandma. And how especially in Swabia (southeast of Germany) this cake is considered the quintessential birthday cake she would bake for you. There are different approaches on how to create this cake, there are some that just create a kase kuchen (cheesecake) and then add a good amount of these red currants with some liqueur or jam on top, some go for a vanilla sponge with the currants inside, and some go for the Klassiker. The Swabian Träubleskuchen, that comes from the Swabian word for Johannisbeere (Träuble.) This cake is divided into three layers, the bottom one that is the short cut pastry that will hold the whole thing together, the middle that is a mix of the johannisbeere filling and the top one that is a thick meringue layer to finish it. No matter which way you what to go, the truth is that on a hot summer’s day in Germany, a piece of this cake, with a little with of cream and maybe a glass of cold Johannisbeerschorle (red currant juice with soda water) is the way to go. Jenson Old Style (bold condensed) is a typeface created by Freda Sack for the foundry Elsner+Flake in 1982. It’s origin, history or reason behind its design is a bit of a mystery, there is not a lot of information about it except the year of release and foundry.